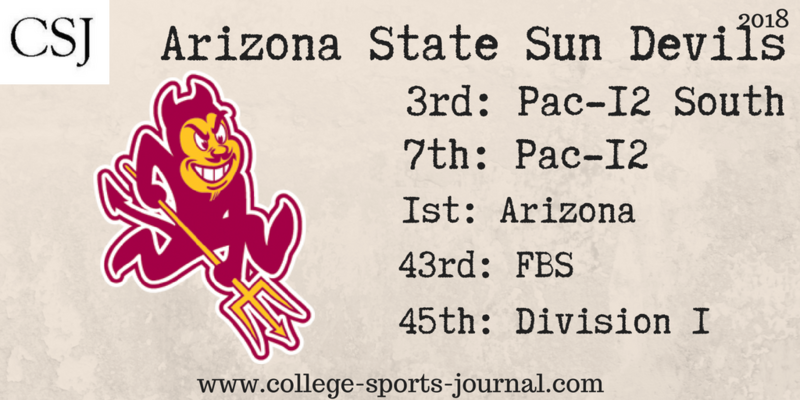 2017 In A Sentence: The Sun Devils improved only slightly over 2016 (5-7), finishing 7-6 and Coach Todd Graham was told that he would not be retained as after winning the last regular season game against rival Arizona with the Sun Bowl against NC State would be his last game as Arizona State head coach–a 52-31 loss. Biggest Shoes to Fill: RB Kalen Ballage had six rushing touchdowns as a senior and finished with 27 in his career, finishing just outside ASU’s all-time Top-5 in the category (the threshold being 28 rushing TDs). He became the 26th Sun Devil to eclipse 3,000 career all-purpose yards and his 29 career touchdowns overall were 10th in Sun Devil history. He finished with 1,984 career rushing yards. He was drafted in the 4th Round of the NFL Draft by the Miami Dolphins. 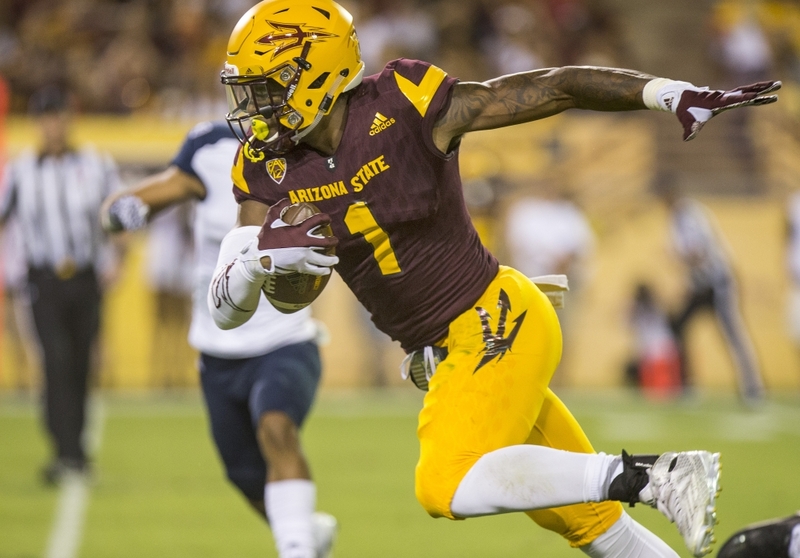 Key Player: WR N’Keal Harry was one of the Pac-12’s top play makers last year as he caught 82 passes for 1,142 yards. The now-junior added eight touchdowns in being named to the Pac-12’s first team All-Conference team. And Harry will have his same quarterback in senior Manny Wilkins, which the two seem to have good chemistry so this likely will increase his numbers this year. Fearless Prediction: Former NFL head coach and ESPN analyst comes to Tempe. He is nine years removed from being a coach (left the Kansas City Chiefs after the 2008 season). He has been hired to be more of a CEO type coach as he kept many of former Coach Graham’s assistants for his staff. The talent is there for this team to increase its win output but questions on this coaching arrangement are there. The Sun Devil faithful should have an idea of this experiment will work right away as ASU hosts Michigan State and travels to San Diego State in its first three games so this team is one of the nation’s toughest teams to project.